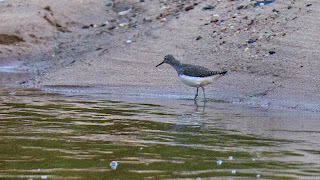 The '800 Challenge' - Southern Africa: Green Sandpiper and teamwork! There are few things more invigorating in the morning than a walk in the countryside and if the 'countryside' happens to be close to home and within Johannesburg's urban sprawl, all the better. Top that off with fairly decent views of Green Sandpiper and Eurasian Hobby (a first for us in Gauteng 'proper') and the day's off to a rollicking start! 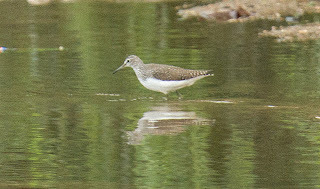 Despite the litter in the Jukskei river and the ceaseless construction in the area, this is the second year running, at least, that a Green Sandpiper has been recorded here. Perhaps it's the same bird..
We were joined this morning by Allan Ridley, Niall Perrins, Reg Thompson and Justin Rhys Nicolau who made the walk all the more enjoyable. 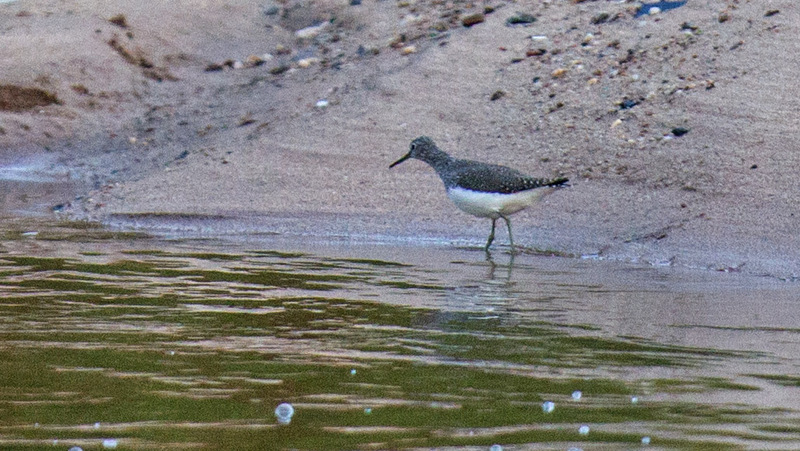 It's becoming increasingly obvious that the success or otherwise of our challenge is largely dependent on the assistance, either directly or indirectly, of the many like-minded people who plow the field in search of our region's avian treasures. Our thanks to Justin who asked us along and to the others for making the pre-breakfast walk a memorable one. 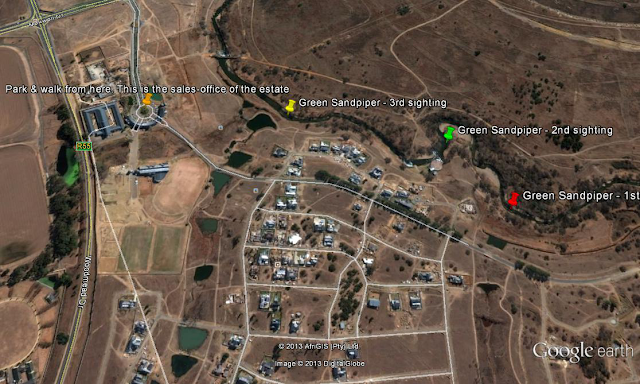 All that remains to be done is to return to the scene of the sighting for some decent photos. Black Duck was also a welcome addition to our 800C list. Total to date 375.